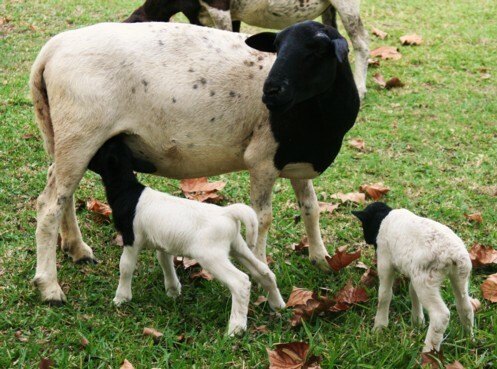 The sheep are lambing and so Briar has been pulled out of the pasture. She is still a giant baby and I don't want any accidents with the lambs. She visits with them daily while I can supervise her and sleeps beside the fence at night. Briar has recently proven to me that she is quite the agile little critter (agile Big Critter?). Do you see how high these stall doors are? 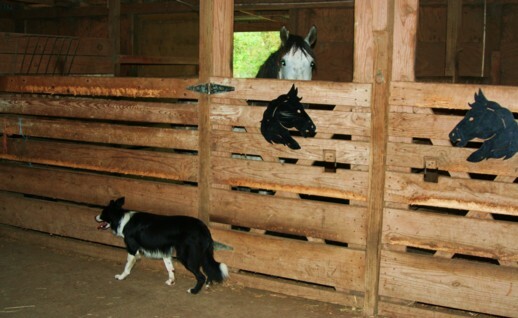 Did you know that a certain Big White Dog can climb these stall doors to get in with her sheep? Very impressive. I was inside the sheep pen and had left Briar locked in the barn. A few minutes later I turned to find her ambling through the sheep. Whudathunkit? I'm now convinced that if coyotes climb into the pen with the sheep at night, then Briar is quite capable of climbing the fence to get inside and protect them. Pretty darned good for a mutt dawg! See! Blood will tell . . . I'm sold on these Big White Dogs now. Despite her appearance, underneath all that fluffy hair is a lean, mean, climbing machine! 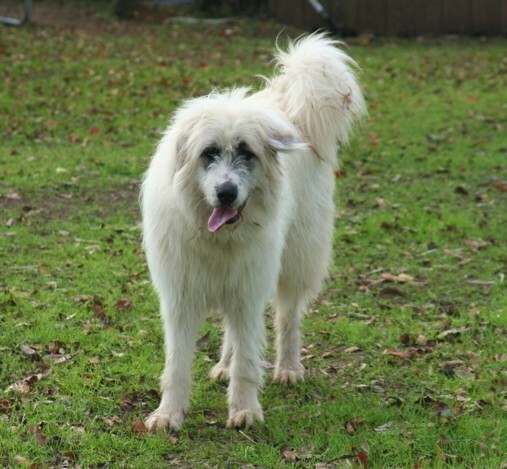 Briar is a Great Pyrenees/Komondor cross. That little brown & white dawg behind her is a Liver-coated Sneak-Stalking Sheepdog! At last, a post about Briar. :) Your stall doors are just very vertical ladders. I know LIly chewed the lower boards, but who chewed the top board to the left of Montoya's head? What a great story. I love all BWDs. We're convinced we'd be overrun with coyotes eating everything, if not for our 4 LGDs. 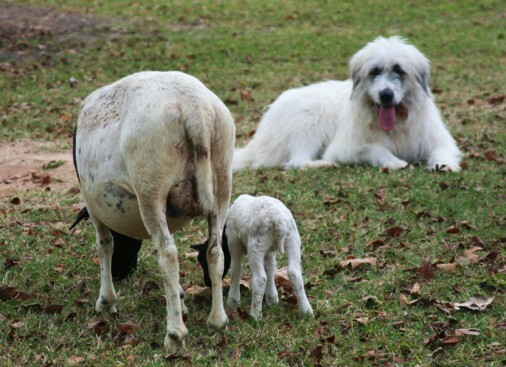 We have 2 Pyr/Anatolian mixes we bought from a dairy goat farm, and we have 2 rescues, we got 1, our best dog, a big boy named "Bear" who is a Pyr/Akbash mix, from a local lady who rescues LGDs and does wonderful work with them. 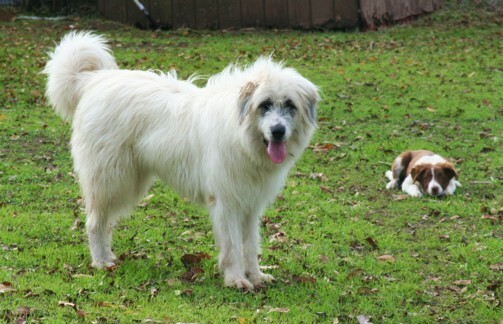 Our 4th dog is a smallish Pyr/? mix from some Okla. rescue folks. She had heart worms and some problems with her hips, but she's full of spirit and can spot a large bird flying around overhead at a distance. Our canine early-warning radar. Anyway, I love Briar too. He'd fit right in around our version of Green Acres. I don't have any that climb, just dig. Ah yes the fence climbing LGD in this case Pyrs. My garden fence is 8 ft high done to keep my original Pyr girl in untill I discovered electric and even that could be negotiated at times. This girl clambered like our marsupial possums. Amazing to watch. She even peeled the top of a chicken run by climbing up into the corner about 5 ft and ripping at the roof till it gave and of she went. My most recent departed Pyr Blossom climbed but sort of slitherd over the top or through fences. They never jumped but clambered. Have never seen my Maremma climb. They did get out of gaps particularly the one raised by the pyrs. LILY chewed those boards to the left of Montoya's head! She leaps in the air and rips off chunks of wood! That's why we had to put the gate back up. She's is ruining her teeth and the barn! Briar is a major climber. She also digs, but hasn't figured out that she can dig out. It's just an Olympic sport for her. Holy Cow! I can't imagine how she's managed to keep any teeth in her mouth! I remember now, the picture of the gate that y'all put in upside down so she couldn't slither under. We have one hole in our yard. All the way to China. Isn't near a fence. 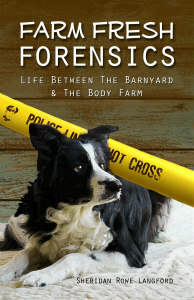 When our dogs get wound up playing, one of them ends up in the hole to China and digs some more.